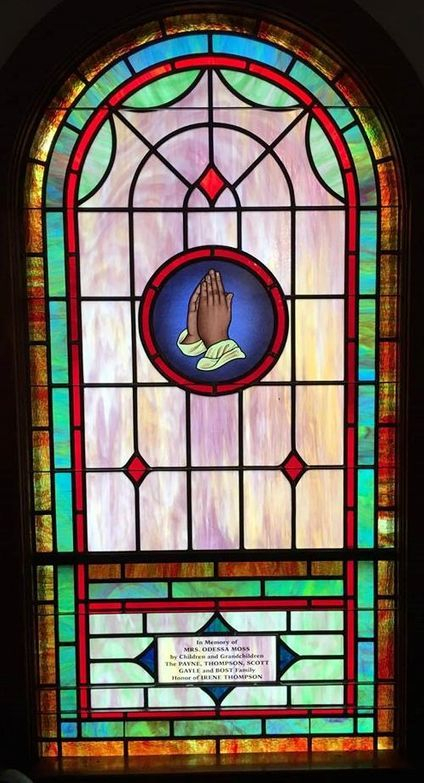 In 2017, Laws Stained Glass Studios installed (14) opalescent glass windows in the sanctuary of Gilmore Chapel AME Zion Church in Concord, NC. 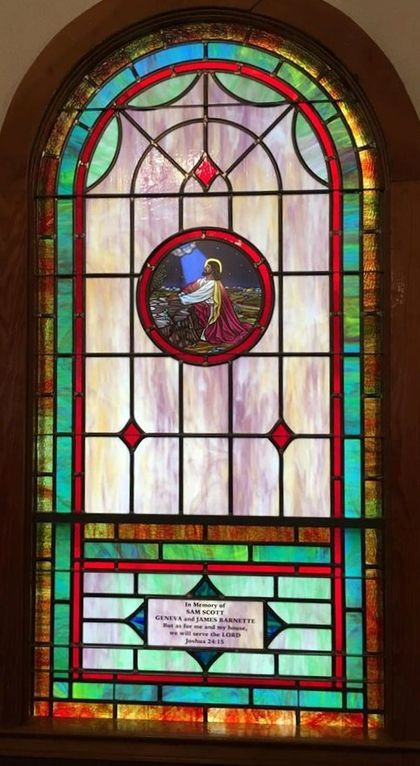 The twelve main sanctuary windows (size 36" wide x 72" high with a round top) and the two smaller windows (size 36" wide x 54" high) each received a 12" round Biblical scene or symbol and a memorial plate. Laws began the installation by removing the existing wood sashes. 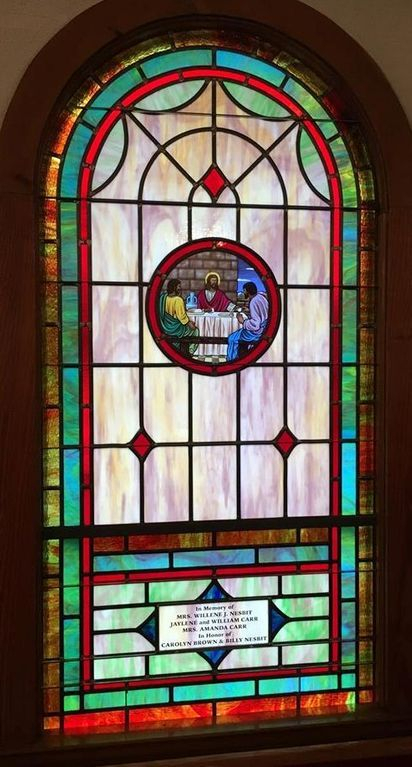 The new leaded windows were placed into the existing wood frames. 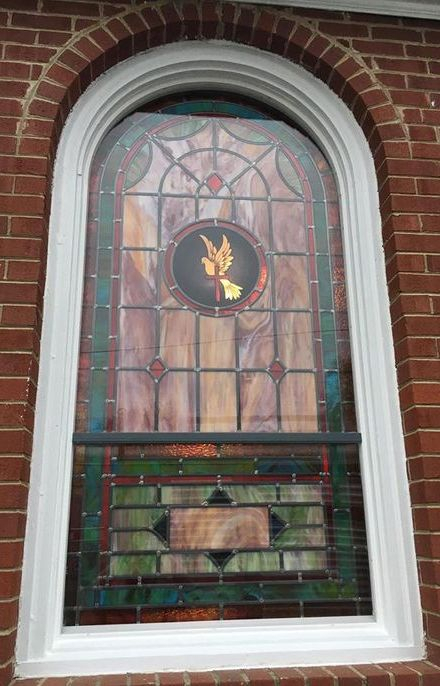 On the exterior, 1/4" Lucite acrylic was installed as the protective covering. 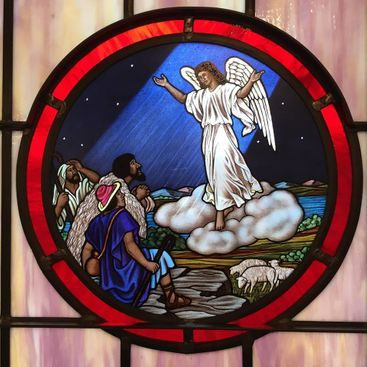 Close-up of the 12" round scene of "The Annunciation"